And before fans get excited to see the doctor make his TV debut, Naomie revealed they ... Olindo's nose job was done by NYC's Dr. Joshua Zimm. Naomie Olindo discusses her rhinoplasty in an interview with renowned NYC facial plastic surgeon, Dr. Joshua Zimm. 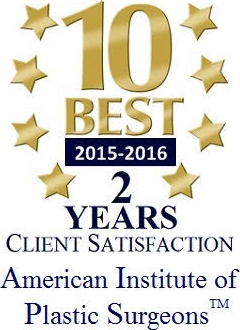 The American Institute of Plastic Surgeons has recognized the exceptional performance of New York’s Plastic Surgeon A. Joshua Zimm as Four Years 10 Best Plastic Surgeons for Client Satisfaction. And Southern Charm star Naomie Olindo told Andy Cohen that she's 'so happy' with how the procedure turned out during Watch What Happens Live! on Thursday night. The reality television star was excited to reveal her new look after ex Craig Conover told the talk show host in May that he 'cried' when he saw her transformation, preferring her old nose to the new. Appearing on Watch What Happens Live with Andy Cohen on Monday, the 29-year-old Southern Charm star got candid about his ex Naomie Olindo‘s recent nose job, which she debuted in February, five months after the couple split. Asked by Andy Cohen if he liked it, Conover didn’t mince words. “Honestly? I cried,” he said. In the wake of her breakup from costar Craig Conover, Naomie Olindo made a major change: The Southern Charm star got a nose job in February. “I feel really good about my decision,” Olindo tells PEOPLE. The 25-year-old had the work done in New York City by Dr. Joshua Zimm, and once she posted her first selfie featuring her new nose, followers began to notice. We’re going to be seeing a lot more of Naomie Olindo on this season of Southern Charm, and that’s definitely a good thing. She’s already emerged as season 5’s MVP, calling out JD for his shadiness at Shep’s birthday party and moments later allowing herself to have a sweet moment with ex-boyfriend Craig. If you think she’s done speaking her mind now, well, you’re in for many surprises this season. We caught up with Naomie to ask about the JD confrontation, where her relationship with Craig stands now, and if she’s dipped a toe back into the dating world. She also opens up about new friendships this season, the reaction to her nose job, and of course, how her cat Gizmo is doing. When Southern Charm’s Naomie Olindo posted a recent selfie on Instagram, her followers noticed something looked a little different. That’s because it was. Olindo’s post was one of her first since undergoing a recent rhinoplasty. The procedure was a long time coming. 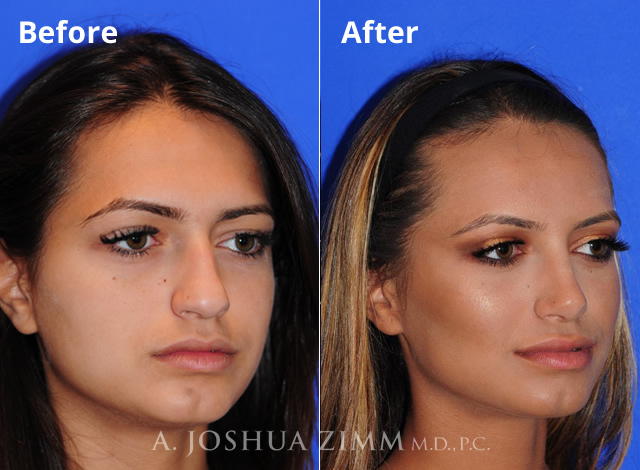 New York facial plastic surgeon Dr. Joshua Zimm performed Olindo’s procedure, and the results clearly caught everyone’s attention. In the days following Olindo’s post and subsequent coverage of her procedure, Dr. Zimm’s RealSelf profile received three times more visits than it usually does. After choosing to reveal on Instagram that she had recently gone under the knife, the beauty told The Lookbook: "Getting my nose done was something I've wanted since I was eight years old. It's still early in my recovery but I've never been happier. My surgeon, [NYC-based] Dr. [A Joshua] Zimm, did the most amazing job and my only regret is not having done it sooner! Plastic surgery shouldn't be taboo ... If there's something about yourself that you don't like and you have the opportunity to change it, why wouldn’t you? I did it for me and no one else and want to be as open as possible about it. I'm so happy with my decision and would do it 100 times over." The American Institute of Plastic Surgeons has recognized the exceptional performance of New York’s Plastic Surgeon A. Joshua Zimm, M.D. 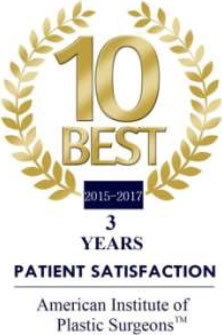 as Three Years 10 Best Plastic Surgeons for Client Satisfaction. 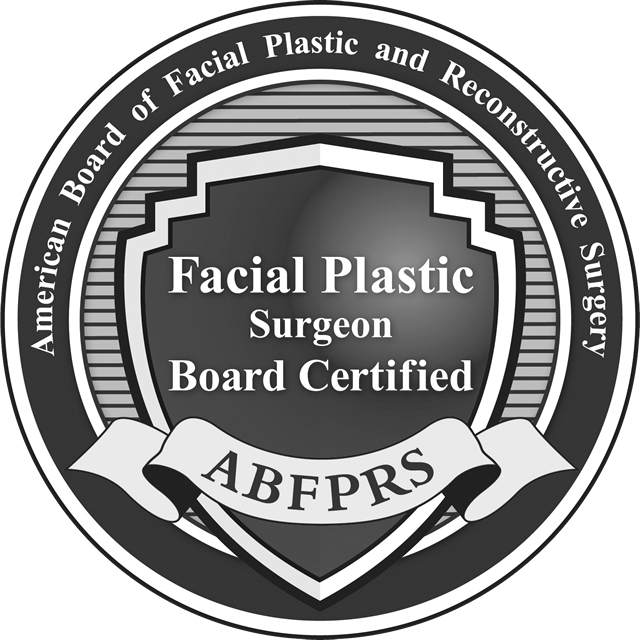 The American Institute of Plastic Surgeons is a third-party rating organization that publishes an annual list of the Top 10 Plastic Surgeon in each state. 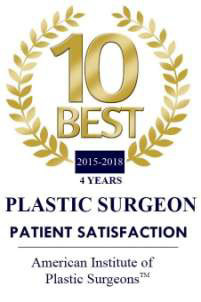 Surgeons who are selected to the "10 Best" list must pass American Institute of Plastic Surgeons’ rigorous selection process, which is based on patient and/or peer nominations, thorough research, and American Institute of Plastic Surgeons’ independent evaluation. American Institute of Plastic Surgeons’ annual list was created to be used as a resource for patients during the surgeon selection process. 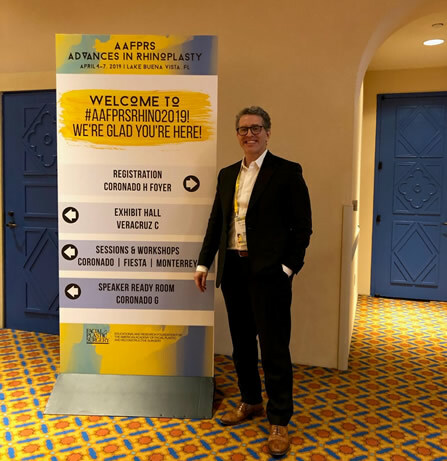 Dr. Zimm attended the AAFPRS fall meeting and was moderating Emerging Trends in Facial Plastic Surgery! In previous studies, plastic surgeons tried to assess how youthful or attractive people look after surgery. 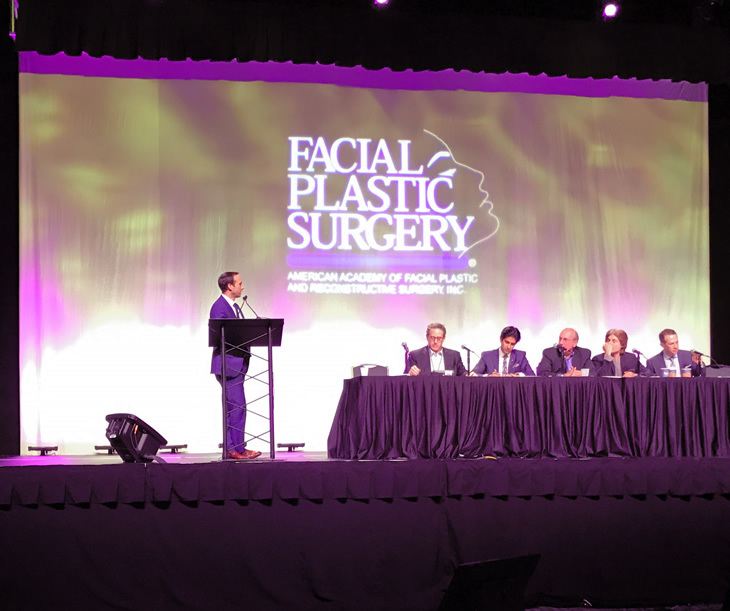 For instance, a 2012 study found that plastic surgery can take nine years off a person's face, and a 2013 study in the journal JAMA Facial Plastic Surgery found that plastic surgery makes people look a few years younger, but not necessarily more attractive. However, that study was somewhat flawed because of how people were selected for the study, said the 2013 study's author, Dr. A. Joshua Zimm, a plastic surgeon at the Lenox Hill Hospital and Manhattan Eye, Ear & Throat Institute of North Shore-Long Island Jewish Health System. Cosmetic surgery can make women look more likable, socially adept and feminine, a new study suggests. People have different philosophies on how they actively manage facial aging. Some wait longer until they are much older, preferring to allow more significant age related changes to occur prior to treatment. This group will likely need surgical intervention such as a facelift to achieve their desired improvement which will be a more dramatic change. They may prefer to wait, not wanting to have regular "maintenance" visits. 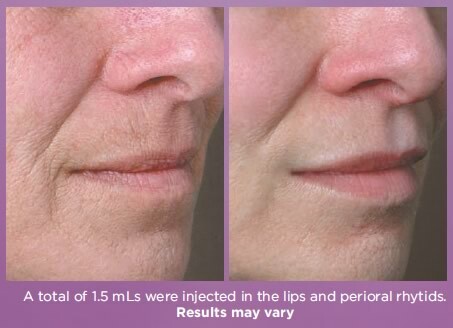 Others prefer to start treatment earlier prior to severe aging changes with BOTOX, fillers, and other non invasive treatments such as Ulthera. These patients desire to maintain a fresh, youthful look throughout their years with more subtle improvements. It is relevant to note that there is no "right or wrong" with either approach, but it's important to understand which each type of treatment can and will achieve for each individual.